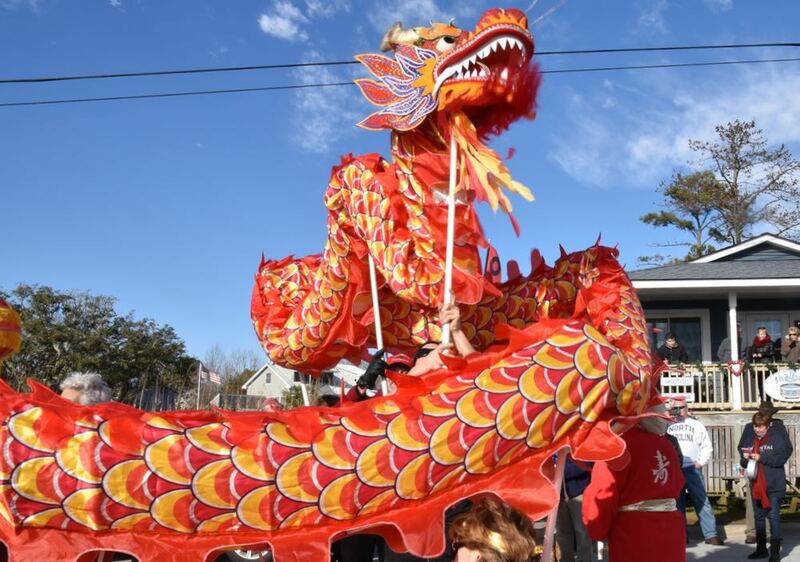 Oriental celebrates the Chinese New Year with a Dragon Run on Saturday February 9. At 3p, The Chinese Dragon and team are bringing on the Year of the Pig. (We’ve been in the Year of the Dog.) The Dragon will makes its run on Hodges Street by the harbor. M&M’s will have General Tso’s Chicken with shrimp fried rice and an egg roll. At The Piglet Teriyaki Chicken with rice, Brantleys has Pot Stickers, and Toucan Grill serves up Pork Loin with Hoisan glaze & Bok choy.